Today's post is All About Craftsy. 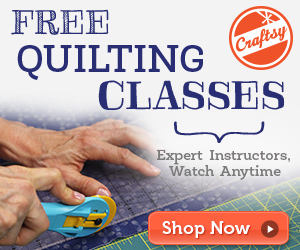 I love Craftsy, it is one of the most amazing online education programs on the internet. They offer so many different classes, products, and a lot of it is free. I hope that you read this post, and head over and sign up for today. You will not be sorry. I hope that you take the time to check out Craftsy today. I love all of their classes, and I know you will too. I even asked my husband for mini torches from the Jewelry Making class for a Christmas present. This is a sponsored post, but all of the opinions are mine.